oh yeah i just remember that it has HSUPA. Right now i'm using HTC product (Ys it's Windows..) but be real, WM has many support 3rd application... especially medical app that no other OS have. (Yeah, i need medical app). Actually i'm not big fan of Windows, but what can i say?I need those app..
Usually i prefer Apple (I have MacBook Pro for me, MacBook for my wife and 1 Mac Pro), yeah they stable, faster and easier for us. A-GPS, HSDPA, Wide screen, WiFi, 3Mp camera (It's SONY, at leas the camera quality will be accepable for "in case" use), 3.5mm audio connector,great interface. U... i wait for this phone and it will replace my DOPOD U1000. This phone would be dead sooner or later. As Nokia is already endeavoring to manufacture and work on the Nokia N98 that got 3 inches touchscreen display in the 800x480 display resolution and got a 7.2 megapixel camera with 3x optical zoom and 30x digital zoom and ofcourse with flash(still don't know yet if it's LED or Xenon) and autofocus and Carl Zeiss Tessar camera lens which is already known to produce sharp and crisp images and VGA video in 60 frames per second with a 1.2 (ghz) processor. Yes i have typed it right. It's gigahertz!! 1.2 gigahertz is equivalent to 1200 megahertz.. And i guess the processor speed of this Xperia X1 is not enough. 528 mhz is too pathetic for a touchscreen phone! And much worse is the Windows Mobile bombarded with a 3 inches TFT display in a 800x480 resolution! I suppose the battery won't go more than a day. With the Windows Mobile OS alone, it's already very much power hungry! Along comes the TFT 3 inches display in 800x480 pixels display resolution. Duh!! Don't you know that in a TFT display, each pixel drains battery?!! So imagine putting that Windows Mobile OS, 3 inches TFT display in 800x480 pixels of display resolution all in all would be turned out useless.. Anyway, let's just wait and see if the 1500mAH battery capacity of the X1 could overcome all of those battery hungry features..
What's special about analogTV feature? Can I play standard channels directly in a phone that supports it? Sorry for my ignorance.. Here in the Philippines there are lot's of ultra cheap China touchscreen phones that has TV in it's specs. But i'm yet to see somebody watching TV on it. I'm currently using a SHARP DoCoMo phone with a resolution of 854x480px and I simply couldn't go back to any other resolution. It's so amazingly clear and bright - like paper! Watching movies on a WVGA screen is a real joy lemme tell ya! So if I should ever go back to a non-DoCoMo phone I'll get an SE, Toshiba or SHARP when they release their 920SH (SX862) in Hong Kong. The phone would be great with someone who can use plumbing. This phone seems to be the most promising in the entire market!!! -the newest version of windows! -extremely big resolution and very big touchscreen screen display!! -probably the strongest combo of CPU+RAM in the market!! -GPS and as special bonus, 3 MP high quality camera, there are many phones that combine windows with GPS and cam, but none has such a strong CPU+Ram and have such a good camera in the same packet, not to mention its one of the slimmer qwerty s too!!! This is SE answer his competitor iPhone! 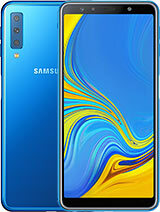 Hope this phone will come out before July! And the price has to be lower than $800usd! SE always build good quality phone! it will rock the world ..!! its all cool with the Specs.. The X1 should be able to Support Applications etc. This phone is like a sh--.They think that they are rulling the world if they have an WM phone,and the resolution is nothing new.So shut up all. LG & Nokia are the best. Everything cool in tha other secs? I also want to know what this phone can do with games & apps? i think the i phone is great. xperia ia a only dumy of i phone. i notice the xperia is a slow mobile. i am a nokia lover but tru is tru. 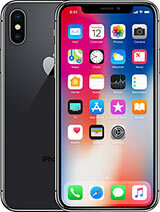 the i phone is the king of new mobile world. I did say just that all along. Just look at the HTC lineup/specs etc. They even keep the by now HTC camera standard of 3.2MP - the thing is, no one believed me :( That will pour some cold water on a few SE fans :) Nevertheless HTC is nice all by itself. I doubt they will sell more devices just because of the SE logo. Last year rumor was, SE wanted to put their logo on a N95 look alike and share profits. Nokia promptly declined the offer. I hope HTC won't be sorry by going with SE on this one. This phone is very good. But stil can you run 3D games or applications on this phone?